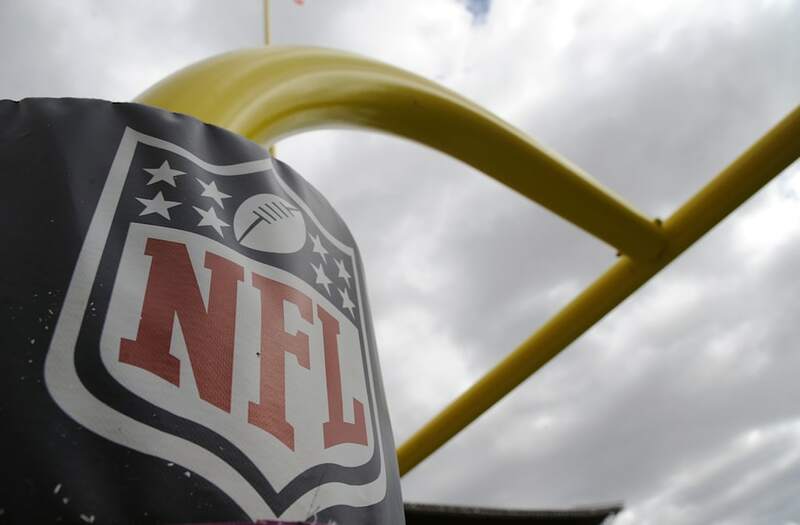 Former National Football League players allege that the league provided them with dangerous amounts of painkillers, and in doing so, violated numerous federal laws and guidance, according to sealed documents contained in a federal lawsuit against the league. It is the latest NFL player safety controversy that remains both abjectly frightening and impeccably on-brand. The Washington Post summarized a sealed and heavily redacted version of the documents, which Deadspin acquired in full. The suit is littered with deposition testimonies from NFL team physicians stating drug administration policies that, in no unclear terms, show they broke the law. Not only that, the plaintiff attorneys claim that "The allegations herein are supported by some of the hundreds of thousands of pages of documents that Defendants and third parties have produced. In particular, the documents describe how the NFL and its teams relied on the powerful painkiller Toradol as well as the epidemically addictive painkiller Vicodin. For example, the Indianapolis Colts told NFL medical advisor Dr. Lawrence Brown that over 585 doses of Vicodin and 900 doses of Toradol were administered during the 2005 season alone, which is pretty wild since there are only 53 players on any given NFL roster at any given time. The 155-page document is littered with anecdotes that show how little regard the NFL has for its players. Attorneys allege that team medical staffs administered drugs to injured players to keep them in games they probably shouldn't be playing in as far back as the 1960s. The soaring profits only further incentivized the unethical and often illegal administration of those drugs, with the difference between then and now being not an evasion of ethics, best practice, and the law—that's always been there—but the availability and usage of increasingly powerful medicine. For example, the attorneys rattle off names of plantiffs unaware of the full extent of what the drugs they received from team medical staffs did to them. Former players such as defensive backs Eric King (most recently with the Cleveland Browns) and Robert Massey (last with the New York Giants) as well as Etopia Evans, widow of former Ravens and Vikings fullback Charles Evans, were often left in the dark about what medicines were being administered, the dosage amount, and documented recordings of their side effects. The attorneys allege that the defendants are the only ones that could know, though we may never know exactly what happened, because the league's record-keeping often skirted federal law. In a review of medical records from 745 former players for workmen's compensation claims, 22 percent of players had no records at all about the drugs they received. While the players were functionally blindfolded during their doctor's visits, emails acquired by the suit demonstrate that teams and the league were not passive agents, but full participants in the cover-up. A 2009 email from Bengals head athletic trainer Paul Sparling states, "Can you have your office fax a copy of your DEA certificate to me? I need it for my records when the NFL 'pill counters' come to see if we are doing things right. Don't worry, I'm pretty good at keeping them off the trail! Sparling would have gotten away with it, too, if it wasn't for his meddling patient and former running back Chris Keaton, a plaintiff and former Bengals running back. Keaton claims that during his time with the Bengals, from 2000-2002, he took Vioxx, Celebrex, Ibuprofen, Naproxen, Flexeril, and Percocet along with Cortisone shots, although Sparling failed to mention or warn himabout side effects. Keaton now suffers from chronic joint pain. The NFL teams employing the medical staffers named and quoted in the court documents declined the Washington Post's request for comment. NFL spokesman Brian McCarthy dismissed the allegations, telling the Post that "The NFL clubs and their medical staffs continue to put the health and safety of our players first, providing all NFL players with the highest quality medical care." In other words, nothing to see here! The players and widows are suing all 32 teams for damages, which if nothing else, might help them pay for their healthcare when the ACA gets repealed. The post The NFL Illegally Administered Painkillers For Decades appeared first on Vocativ.